Last Saturday (27th Feb 2010) -saw us taking part in another ghost investigation, we had high expectations of the location as previous visits had put sensitive members of our team in a bit of a frenzy – but this would be the first time we’ve brought out the ‘big guns’ in terms of equipment to hopefully give us some scientific data to analyse. 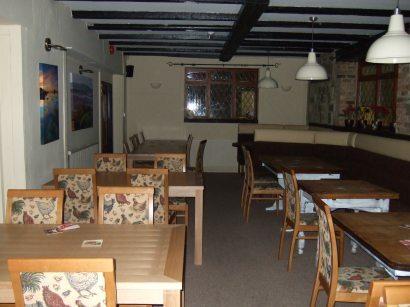 The investigation took place at the Dark Horse in Brading, our hosts had kindly given us access to the entire location. It must be noted that the Landlady has reported feeling ‘unwelcome’ in the back bedroom in the room above the front bar. The nights invo team consisted of Myself (Paul), Jan, Mark, Kev & Val – Upon arrival Val mentioned that the bar area was very ‘busy’ with moving spirit activity. This was quickly bought to home when a spirit passed through her, causing her to regain her balance and composure. Mark reported being stood next to spirit, where his senses could detect a slight cold feeling. 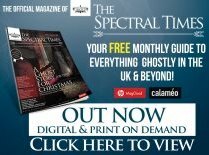 Although this activity was quite frequent and continuous it was thought that it was mostly based on residual energy, as the spirits seemed to have no interaction with the living. The night kicked off with Val having some quiet reflection time out in the back room, while the rest of us decided on a plan of action for the night. Val regrouped with us after a short period of time and informedus of a spirit woman called Margaret who stays out in the back room. It’s Val’s understanding that this woman is a little afraid of men, and likes to keep away from the men folk in the bar. Unfortunately for us Margaret wasn’t too keen on passing Val too much information on herself. Time to checkout the back bedroom, temperature was recorded both in and out of the room – and although there was a slight difference -we couldn’t really put it down to any sort of ‘Paranormal’ reasoning. Mark who was leaning against the far wall, started to feel uneasy. He was sensing a presence of a man stood behind him. It wasn’t long before Mark had to move to the entrance of the room, after experiencing a rather hard shove. Unfortunately for him the quick trip across the room was going to cost him dear as he felt what seemed like a punch to the face. Although we could not see any physical mark’s on his skin, Mark assures me it ‘Bloody Hurt!’. Kevin quickly took up Marks position on the far wall, while Val sat on the floor concentrating her efforts on communicating with him. All the while I took readings using our MEL meter which records EMF readings and temperature differences, both of which where showing no real differences in normal readings. Jan was stood to my side, feeling a slight headache since she had entered the room. Hailey (The Landlady) – had always felt threatened from the room, but this time she was more than ready to face what was in there, after all.. it was her building now, and noone should be scared of their own propriety. ‘Bloody women, GO! ..Get Out!’ roared Val who was still sitting on the floor. Turns out that Val had managed to communicate with the man, who was not too happy about ‘All these bloody women in his room’. John, as he wanted to be called -was not a happy man! Kevin happened to notice that the air around a nearby computer chair seemed to the touch cooler, could it be that John was sat in it? I checked the temperature with the MEL, which didn’t seem to indicate any variations in room temp, both the K2 meter and the onboard MEL EMF detector unfortunately didn’t register any extra electrical activity apart from the normal background noise. Kevin, through Val channelling – managed to reason with the spirit, explaining the situation in a simple to understand tone. Kev explained that time had past, and that John should not still be here. Unfortunately John had no intention of leaving the building, and so with a warning that he must calm down and live together with the new owners – we left it as that! It must be noted that Hailey thought the room’s atmosphere seemed less oppressive and menacing after that. We will be monitoring the situation carefully, and a return visit is not out of the question. 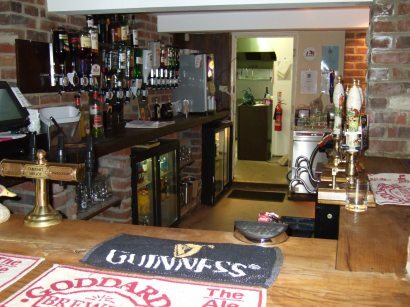 We started the investigation in this part of the Pub with slight trepidation, as four of the members of the team had felt something quite overpowering in that space. Remembering that ‘Johns’ room was directly above -we have to ask ourselves if it was a contributing factor. Full base EMF readings were taken using all three of the various meters we had with us. Mark traced out a power cable from one of the emergency lights on the ceiling that was giving off quite a high reading of MG’s. It has to be said that we did encounter some quite strange spiking, which seemed to vanish just as quick as we found it. Slight temperature variations seemed to pocket the room, but I think this has more to do with the cooling down of the heating/building after the day’s use.